As most Harry Potter fans - including myself - will know, Edinburgh is a massively important location in relation to the book series. There are numerous other locations around Scotland and the UK that Potterheads will probably want to visit - the Warner Brothers Studio Tour being one of the best! 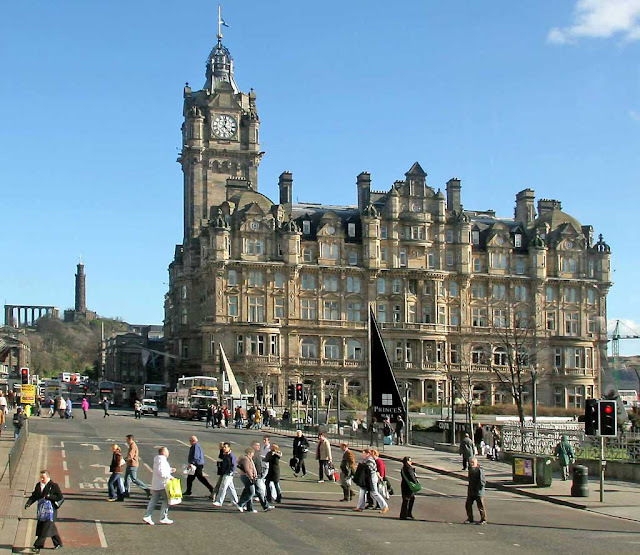 - but Edinburgh was where J.K. Rowling lived while she was writing the novels, and there are many locations around the city that provided her with inspiration, or have other connections to her and her writing. So, without further ado, here are the locations that every Harry Potter fan visiting the city should check out! This winding street connects the Royal Mile to the Grassmarket, and is commonly believed to have been a source of inspiration for Diagon Alley, and it's easy to see why. With one street built on top of another, curving down a cobbled road, and brightly coloured shops selling all sorts of weird and wonderful goods, there's definitely a resemblance to the busy, eclectic, wizarding shopping street. There's even a joke shop (Aha Ha Ha Jokes & Novelties) which sells magical items, and the recently opened Diagon House, which is specifically a Harry Potter themed shop, selling every piece of wizarding paraphernalia you could want! These two cafes are both locations where Rowling herself would spend time writing the early books in the series. Spoon, on Nicolson Street, used to be called Nicolson's Cafe at the time, having since closed and the property bought by someone else. Supposedly, during this time Rowling was struggling to make ends meet, and buying a coffee to write in a cafe was cheaper than heating her flat. Nicolson's Cafe was also co-owned by her brother-in-law. 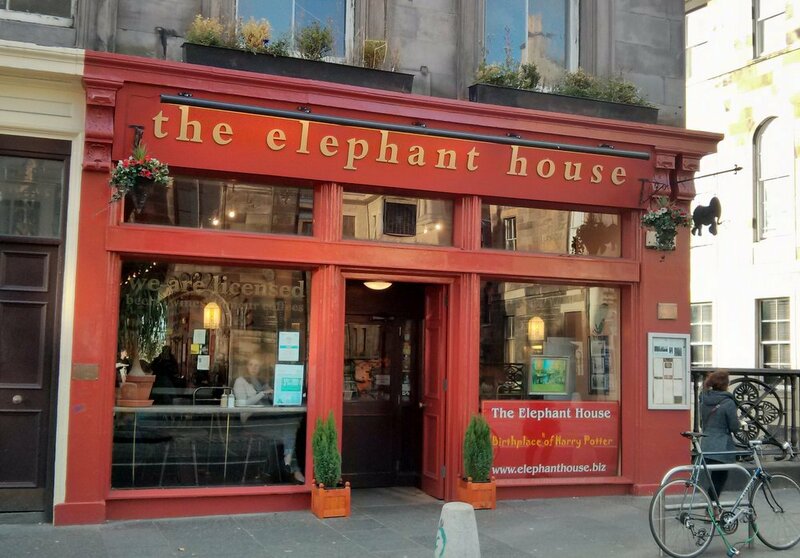 Spoon doesn't advertise itself much as a former haunt of hers, but The Elephant House, on George IV Bridge, does, with the window display proclaiming it 'The Birthplace of Harry Potter'. The most interesting part of this particular cafe though, is actually the toilets. Fans have left messages scrawled over every inch of every surface inside, from spells and quotes, to thank you notes; you can even add your name to 'Dumbledore's Army'. From the windows of The Elephant House, Rowling would have enjoyed views of Edinburgh Castle (which I'll get to in a minute), and George Heriot's School. It is thought that the latter served as inspiration for the magical school of Hogwarts. The building itself is 17th century architecture, with many turrets and towers, and the school splits its students into four houses; they may not share names with the Hogwarts houses, but there's a clear similarity there! Edinburgh has many other schools of similarly stunning architectural design, but Heriots is generally assumed to be the inspiration, due to its proximity to her former writing location. The real school was started to educate orphaned boys, and while it does still hand out some scholarships, it is now one of the most prestigious, private (fee-paying), co-ed schools in the city. Perched on an extinct volcano, overlooking the city, and clearly visible from the windows of The Elephant House, it is generally assumed that Edinburgh Castle provided some inspiration for Hogwarts. This has never been confirmed by Rowling (nor have most of the locations on this list), but it's clear where the comparison was drawn from. Additionally, the Castle used to overlook the Nor Loch (now drained and transformed into Princes Street Gardens), which could be likened to Rowling's Black Lake in the Hogwarts grounds. 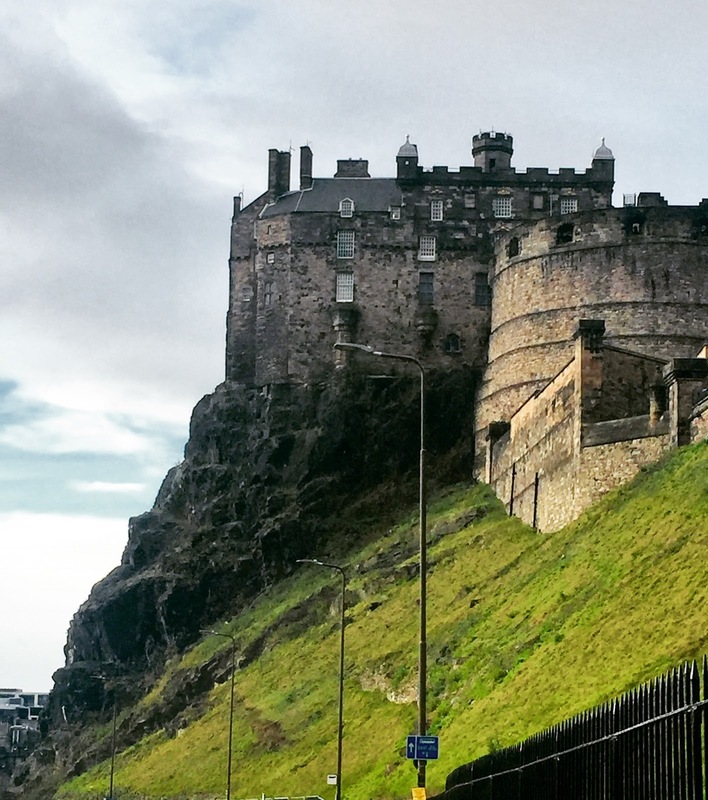 Edinburgh Castle also has many hidden underground caverns and catacombs, as well as a few ghost stories within its walls, not unlike Hogwarts Castle's secret passages and ghostly inhabitants. This cemetery is also visible from The Elephant House, and among its tombstones there are a few names that will be recognisable to Harry Potter fans. The most famous, and most visited, is that of Thomas Riddell, which fans will know as the real name of the villain of the series, Lord Voldemort, though Rowling changed the spelling to Tom Riddle. 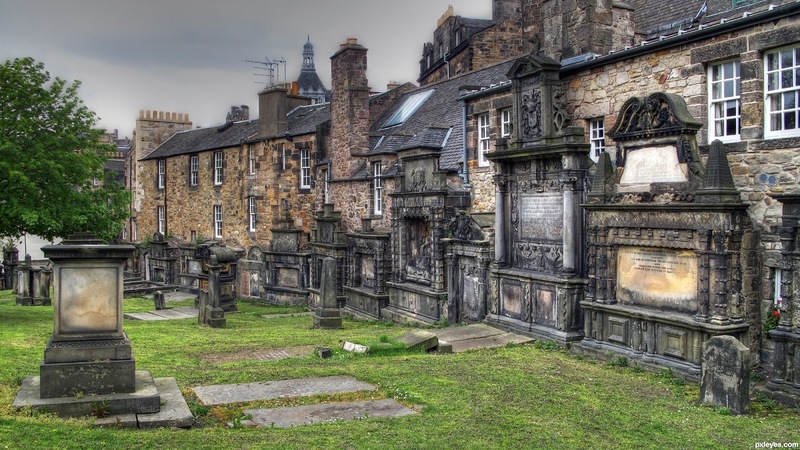 Also in the kirkyard are an Elizabeth Moodie, which may have inspired Mad-Eye Moody's name, and William McGonagall, who could be connected to Professor Minerva McGonagall. 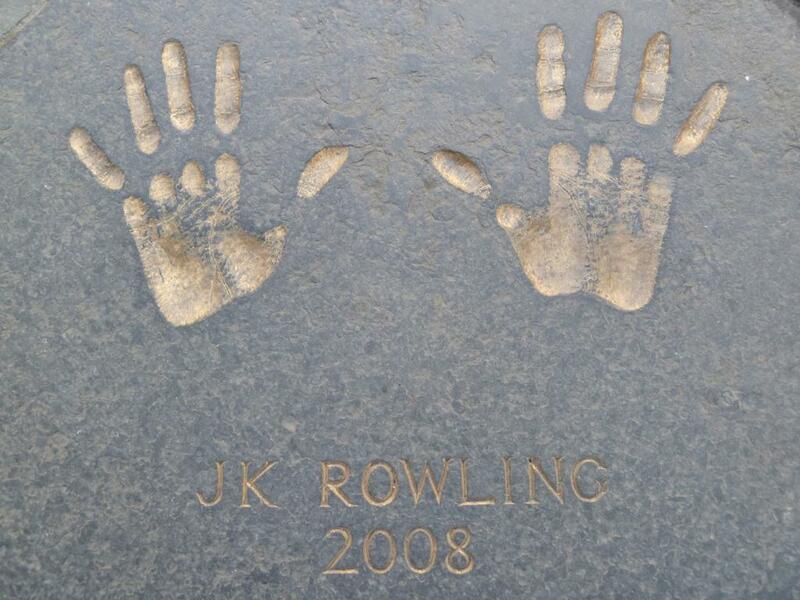 Rowling has stated that she took names from many sources, including gravestones, so it's entirely possible that she saw these graves while writing the books. However, the only one that has been confirmed was McGonagall, as Rowling thought it was amusing that the real McGonagall was renowned for being a truly awful poet, while her character is highly intelligent. While writing the early books in the series, Rowling didn't have a lot of money, and spent a lot of time writing in cafes. However, by the time she was reaching the end of the series, she had earned a substantial amount from the books, so she completed her writing while staying in a suite in the Balmoral Hotel, located on Princes Street, and one of the most prestigious hotels in the city. The specific room was number 552, which has since been renamed the J.K. Rowling Suite, and still has all the same furniture as during her stay; though it will cost you £1,000 a night to stay there! She also famously inscribed a bust in the room with the message "JK Rowling finished writing Harry Potter and the Deathly Hallows in this room (552) on 11th Jan 2007", which also remains in the room. The City Chambers building itself isn't what fans are looking at when they visit this location, on the Royal Mile; rather, they are looking at the ground, where Rowling's handprints have been immortalised in the concrete. This is because she was the recipient of the Edinburgh Award in 2008, and each recipient has their handprints inlaid in the ground in the City Chambers courtyard. The award is given out each year for contributions to the city of Edinburgh, earning recognition on a national or international level; Rowling was chosen the year after the final Potter book was released. Other recipients have included novelist Ian Rankin, and Olympic athlete Sir Chris Hoy. These are two locations that have nothing do with Potter while J.K. Rowling was writing the novels, but are still fun places for fans to visit. The Dog House, located on Clerk Street, earned its Potter association when it began serving butterbeer, a fictional drink enjoyed by Harry and his friends when they visit Hogsmeade. The pub has no other Potter advertising, but plenty of fans will pop in to try a pint while visiting the city. 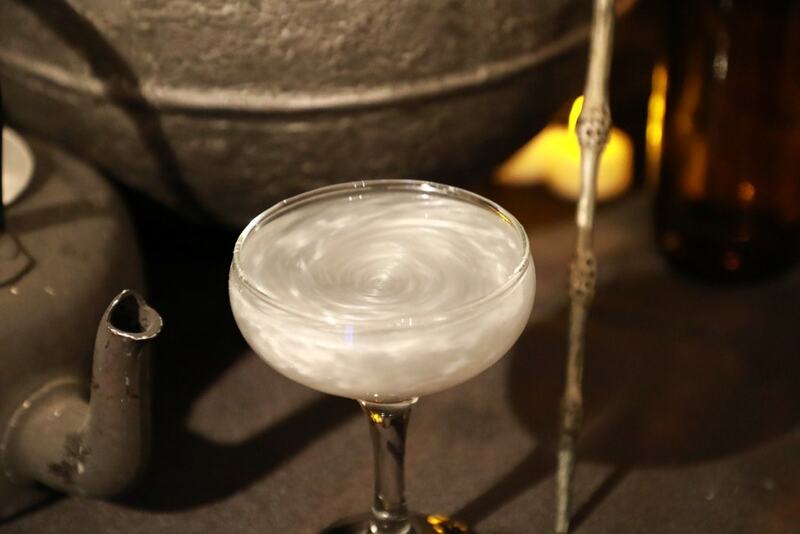 Perilous Potions though, is an exclusively Harry Potter themed bar, designed to resemble the potions classroom, where guests can magic up their own cocktails. This is only a temporary bar though, run by the The Pop Up Geeks in their premises in Arch 14 on East Market Street. They have done various themed pop up bars in the past, regularly changing their themes, including Game of Thrones and Stranger Things. Perilous Potions is open from 1st Feb until 30th April 2018. 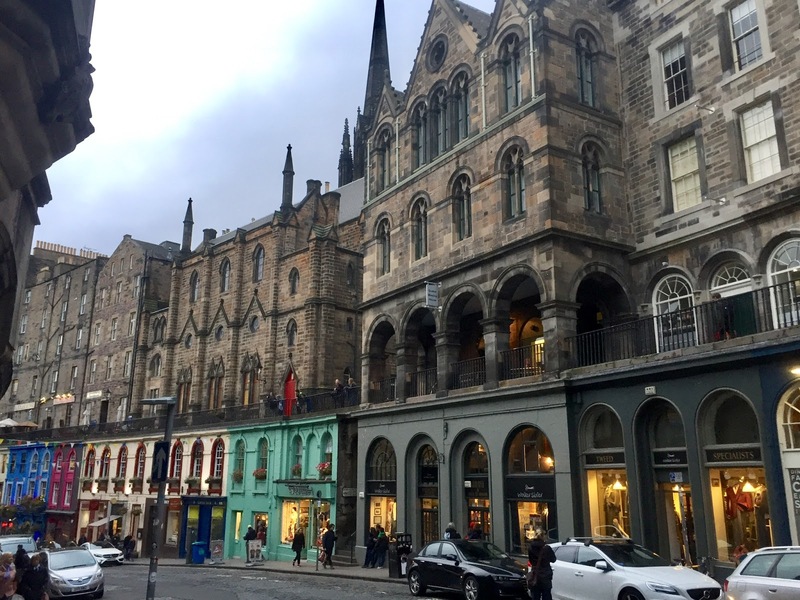 So while not all of these locations are confirmed as sources of inspiration, or even existed at the time of writing the novels, there's no denying that Edinburgh has plenty of connections to interest Harry Potter fans. It's a highly mysterious and magical city anyway, with plenty of hidden secrets and eclectic locations, that has inspired countless other authors besides Rowling. So whether you want to browse the names on gravestones, or sip on a magical potion of a cocktail, Edinburgh is definitely a top destination for Harry Potter fans to check out!